Enjoy a delectable vegetarian spread with the traditional Onam Sadhya at Ente Keralam. 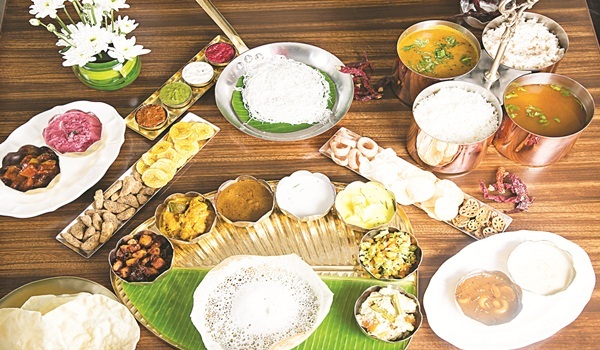 A special kitchen set up for the festival will serve the thali complete with four kinds of fried chips, four pickles, kaalan, olan, thoran, erussery and a special assortment of two payasams and two pradhamans. Available for take-away too. Rs 525 onwards. September 5-18.